Are you looking to edit video on your iPhone but you’re unsure of the best tools you’ll need to accomplish that? We’ve done the research for you and found the best of the best, so you don’t have to! Watch the video below for all the details. We researched and tested around a dozen different apps, but overall, there were 4 that were the best in terms of usability and features. While not quite as robust as it’s desktop counterpart, the iMovie mobile app still gets the job done. And as it’s free to use, it might be one of your best bets if all you’re looking for is a way to edit simple videos on the go. Just like iMovie on a desktop, the mobile version has some simple but cool features, like adding music tracks, on-screen text, transitions, and other fun elements. There’s not much in the way of color correction or audio enhancements (at least for the time being), but it works if you’re just creating a simple video. iMovie on mobile makes it easy to export finished videos directly to your social media channels. 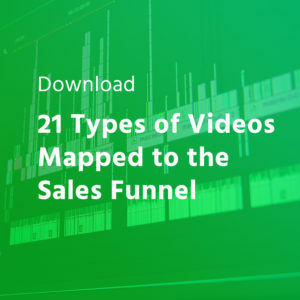 This can be quite a time saver if you’re regularly creating social videos. Here’s a great tutorial on how to use iMovie on your iPhone. The Quik mobile video editing app is a handy tool created by the folks at GoPro–but don’t worry, you don’t need to be using a GoPro camera in order to use the app. Unlike iMovie, which is more manual editing, Quik can handle of the lot of the editing work for you if you don’t have a lot of time on your hands, or would prefer to create content really quickly. Quik has some great built-in music options, effects, and other features. The app allows you to import photos as well as video clips, so if you’re looking to create a photo slideshow type of video, or just want to show some still images in your video, Quik might be a great option for you. Here’s a handy overview and tutorial video on using Quik. While there’s technically a free version of the app, if you want to unlock the full feature set (and avoid a watermark on all of your finished videos), you’ll need to cough up $40 a month. However, if you’re looking for a mobile editor that’s more robust than iMovie, the paid option of Kinemaster may be the right choice for you. Kinemaster has a simple to use interface that contains lots of surprising tools and features that you might not expect to find in a mobile editor, such as multiple layers, pro audio tools, and even chroma keying (which is great if you create a lot of green screen content). The app also allows you to create a voiceover which you can add directly into the timeline. This is a great feature to have if you regularly create content that needs voiceover work–you’ll save a lot of time doing it in the app rather than recording audio from a desktop setup. There’s even some great color correction tools that will allow you to tweak the look of your video footage. Learn how to use Kinemaster using this great tutorial video. If you’d rather use a mobile editor that does the bulk of the work for you, than give CutStory a try. 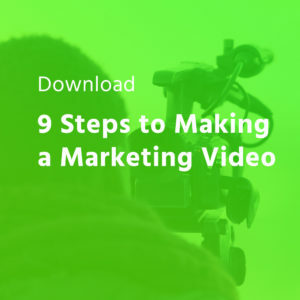 This app is ideal if you’re creating social videos, particularly stories, and with a few taps, it will automatically chop up longer video clips into social media-friendly versions ready to share. It’s technically free, but a watermark will be added to every exported video. You’ll need to pay $0.99 to remove it, and possibly more if you want to unlock additional features. Start by picking which social platform you want your video content to end up on, upload your video clips, then CutStory will get to work. It’ll split your imported clips into segments formatted according to your chosen social platform’s maximum video length. CutStory allows you to add text overlays, filters, and stickers, if you want to make your video more fun. Not ideal for most business videos, but CutStory is really optimized for stories for social platforms. If you’re already creating this type of content, CutStory is a great time-saving tool. Here’s a cool video tutorial on using CutStory on iPhone. Out of all the research and testing we did, these 4 tools stood out the most to us for their ease of use, simplicity, and feature set. 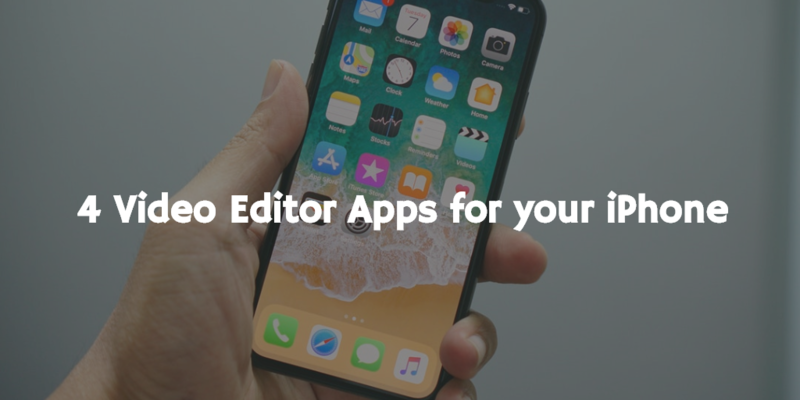 If you need an iPhone video editor to edit your next business video, these options will work for you!